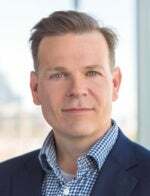 Cisco lost a key warrior in its battle to become a monster software player this week as Rowan Trollope, senior vice president and head of the $5 billion Application Group, said he would be leaving the company effective May 3 to become CEO of cloud startup Five9. “During Trollope’s tenure, his team reinvented Cisco’s Collaboration business, pivoting to a SaaS model and making design, simplicity and exponential improvement the guiding principles of product development,” Five9 wrote in describing its new CEO’s pedigree. Trollope's departure was announced in a Cisco press release about its acquisition of artificial-intelligence technology start-up Accompany for $270 million in cash. Accompany founder and CEO Amy Chang will step into Trollope’s role, Cisco said. “Accompany's AI technology and talent will help Cisco accelerate priority areas across its collaboration portfolio, such as providing user and company profile data in WebEx meetings,” Cisco said. Chuck Robbins, Cisco chairman and CEO, said of Accompany: "Together, we have a tremendous opportunity to further enhance AI and machine-learning capabilities in our collaboration portfolio and continue to create amazing collaboration experiences for customers." I want to personally wish @rowantrollope all the success in the world as he moves on - it has been an absolute pleasure working with you! Everyone at @Cisco will miss you and wishes you the best! Thank you @ChuckRobbins and entire @Cisco team. Excited for your future. And thrilled to be joining the team @Five9 for the next adventure.